Following the recent UN General Assembly and the UN Security Council meeting, the US once again focused on the coalition of the so-called Arab NATO or the Middle East Strategic Alliance (MESA), created with the goal of confronting Iran’s meddling in Arab countries and the Middle East. US Secretary of State Mike Pompeo met with the foreign ministers of the six Gulf Cooperation Council countries, including Egypt and Jordan in New York, on Friday September 28 to discuss the MESA. On the other hand, the US State Department announced that it had ordered the evacuation of U.S. diplomats stationed at its Consulate in Basra, Iraq due to recent attacks by Iranian-backed militias. “Threats to our personnel and facilities in Iraq from the Government of Iran, the Islamic Revolutionary Guard Corps Quds Force, and from militias facilitated by and under the control and direction of the Quds Force leader Qasem Soleimani have increased over the past several weeks,” Pompeo said Friday afternoon. “I have advised the Government of Iran that the United States will hold Iran directly responsible for any harm to Americans or to our diplomatic facilities in Iraq or elsewhere and whether perpetrated by Iranian forces directly or by associated proxy militias,” he added. According to the Washington Post, Pompeo also said the United States was working with the Iraqi government to address Iranian threats. At the same time, Brian Hook, senior policy adviser to the secretary of state and special representative for Iran, said that the US thought that “most nations around the world” shared their assessment of the Iran threat and that the threat was “very broad and very dangerous”. “We have decided to leave the Iran nuclear deal because we didn’t think that it advanced our national security objectives”, he said in an interview with Radio NPR. “So we have presented a new strategy to achieve a much better deal with the Iranian government that would address the totality of the threats that Iran presents”, he added. Meanwhile, the US House of Representatives Foreign Affairs Committee, passed H.R. 4591, a bi-partisan bill, which “imposes sanctions on Iranian persons that threaten the peace or stability of Iraq”. These interactions represent an international and regional campaign against the Iranian government to counter Iran’s years of meddling in the region. 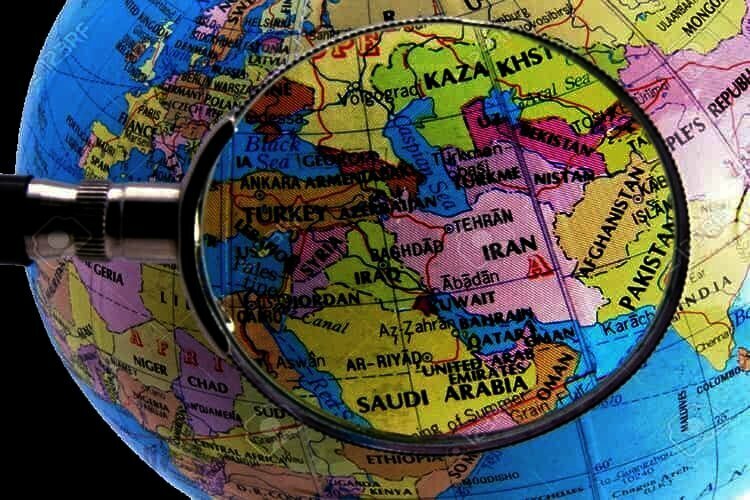 Despite the high financial costs of meddling in regional countries, especially now with the economic crisis in Iran, the regime cannot forego its meddling policies. The nature of Iranian government and the system of the Velayat-e faqih dictates that it spreads its terrorism and backward ideology into neighboring countries. Anything short of this will lead to the downfall of the system of the Guardianship of the Islamic Jurist which is another word for Iran’s religious dictatorship.